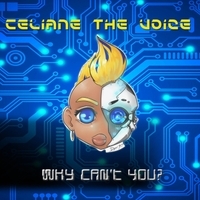 Celiane is a dynamic singer whose singing style is an eclectic array of Electronica Hip Hopera. Celiane The Voice is a driven, passionate and charismatic singer with a truly unique approach. Her music is very kaleidoscopic, borrowing from styles as diverse as R&B, Opera, Soul, Latin Pop, and even Hip-Hopera, just to mention but a few. Celiane’s vocal range is particularly impressive. She is able to sing with passion and soulfulness, while showcasing amazing lyrical mastery and vocal control. Her dynamics are absolutely spotless and she is truly able to carry a song from quite to loud, taking listeners hand in hand through an amazing emotional rollercoaster. Inspired by influential artists the likes of Amy Winehouse, Origa, Tina Guo, Daft Punk and Pharrell, Celiane’s work is very versatile and groundbreaking - her tunes can’t be put in a box, as she breaks the boundaries between electronica, hip-hop, opera and many other styles. Keyboards, Synthesizer and Drum Programming: Bill Williams Recorded and Mixed by: Bill Williams @ Bill Williams Media Productions Hayward Ca. Mastering :Rainer Gembalczyk @ Sienna Digital Half Moon Bay Ca.